The analysis considers as one of Arabic capacity and richness also that many pronunciations in Arabic structures may be expressed in more than one from. Here we try to explain the effect of sequential analysis in some pronunciation appeared in the texts of Nahj al-Balaghah. It has been mentioned in more than a novel between raising and erecting, raising and dragging and the consequent linguistic implications of what can be more likely than in terms of considered linguistic evidence. The studied text-as known- in the highest degrees of eloquence. That who say it the flocks will descend from him and the bird will not rise to him for his knowledge, understanding and eloquence. The curriculum text was compiled by the nobleman Al-Sharif Al-Radi, which included the Imam’s sermons, his books and letters has chosen seventy eight(78) books, some of them long and others are short once, his wisdom and short words. Four hundred and eighty nine (498) phrase of short word of them were chosen. 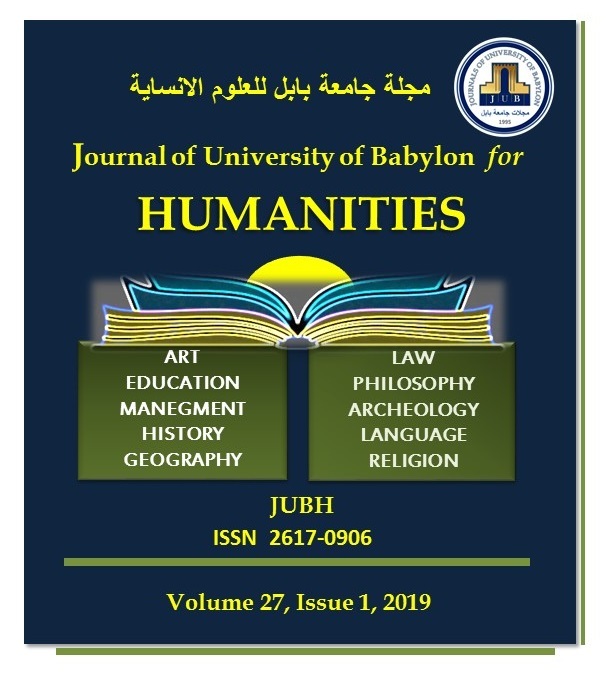 E. Edriss, “Sequence of Meanings of Analysis In Chosen Texts of Imam Ali Speech”, JUBH, vol. 27, no. 1, pp. 229 - 236, Apr. 2019.